FREE AUDIO - the following linked audio is the full discussion by James Wild from CD5 contained in the product The Complete Brainwave Meditation Pack. It contains a wealth of information on meditation and the brainwave states (40mins). You can listen to the audio using the player below. Also download by clicking on the 3 dots to the right. (For mobile devices that do not see the download link, just enter the browser into 'desktop mode', under the web settings. Once in 'desktop mode', you should see the 3 dots - click on them to download. Below notes the differences between the Quiet Earth brainwave metronome frequencies. For more in-depth information on brainwave states see the product listings. Also see our FAQ for valuable information on how to use the metronomes. From James Wild: These recordings are simple metronome sounds recorded at the frequencies listed below, measured in cycles per second (Hertz). I made the sound to be rounded and unobtrusive and used the frequency following response (read on) to help you achieve the desired state. When meditating with the metronome it is important to stay as alert as possible – focus your intention. I prefer to play the recordings at low volume. Note that with practice you will find yourself more adept at slipping into the various states that the metronome enhances. For some it will happen right away. With others it may take several weeks. Due to the collective electrical activity of neurons, the brain produces a resonant frequency measured in cycles per second or hertz (Hz) called a brainwave state. Research using techniques known as Biofeedback has shown that an external stimulus (such as the repetitive metronome tone) induces the brain to match the resonant frequency. This enables the subject to access the different levels of brainwave activity. 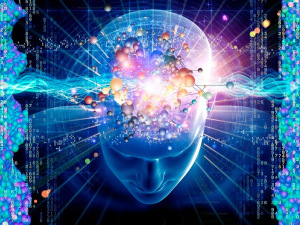 Our brainwave titles are recorded to induce the frequency following response (brainwave entrainment) where the brain’s activity “follows the metronome”, moving you gradually deeper in your meditation. A big advantage is that you don't have to use headphones. Gamma (40 Hz) – associated with a lift in mood and greater feelings of wellbeing and love for oneself and others. Evidence from recent studies suggests that the Gamma brainwave state induces a lift in mood with people experiencing elevated levels of joy and compassion. This is believed to be affected by the release of endorphins - the body's natural opiates. So, is the Dalai Lama walking in a sea of Gamma rhythms? There is only a little research and a few anecdotes about the Gamma rhythm so get experimenting and let us know what you experience. Need a lift in happiness and more compassion and love? Need to grow your intelligence? Choose the Gamma brainwave. Alpha (8-7 Hz) - a calm relaxed state of mind. Occurs while daydreaming and during light meditation but can also occur when one is focused and mentally alert. Associated with general relaxation, fast learning and strong memory recall, so people use it for dedication in study. Has links to dreaming during sleep. You can use the Alpha rhythm for dream interpretation. When you wake in the morning, pop on the Alpha rhythm and dedicate your meditation to dream recall and interpretation. Need a more positive outlook and general relaxation? Need to understand your dreams? Choose the Alpha brainwave. Theta (5-4 Hz) – for deep meditation, relaxation and body healing. Associated with creative insight and ingenuity, flashes of intuition, advanced problem solving, altered states, better sleep and boosting immune system function. The Theta metronome has been widely used by Stuart Wilde in his meditations and I can say from experience that it’s excellent for the flow of creativity. You can dedicate your meditation to a creative aspect of your life and watch the scenes in your mind and feelings unfold. Much anecdotal evidence suggests that the Theta brainwave state is the healing state – your body will love it – not to mention the benefits to your wellbeing in general. Need re-charging, a stronger immune system, a boost in energy and more creativity, intuition? Need to tap into altered states of consciousness? Choose the Theta brainwave. Delta (3-2 Hz) - associated with deep sleep but also linked to benefits of deep meditative states such as profound visions, altered states and subtle healing of the mind and body. This is my choice of metronome for meditation and getting down into the deepest state. While acknowledging that everyone is different, I find it best for that calm feeling of contentment, serenity and stillness that comes with meditation. Need deep relaxation, body healing, more empathy and spiritual healing? Choose the Delta brainwave.